The upcoming Holiday Catalog has two different stamp sets that coordinate with the same punch, the Cookie Cutter Builder Punch. They are the Cookie Cutter Halloween and Cookie Cutter Christmas stamp sets. When you purchase the Cookie Cutter Christmas stamp set, you have the option to buy it as a bundle with the punch or without the punch. The bundle saves you about 10% on the price of the two items. The Cookie Cutter Halloween set is not sold in a bundle, but you can still purchase the stamp set and the punch separately. 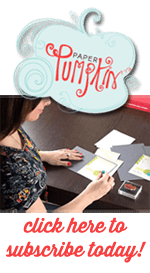 Last week I shared a card from the Holiday Catalog using the Cookie Cutter Halloween stamp set here. 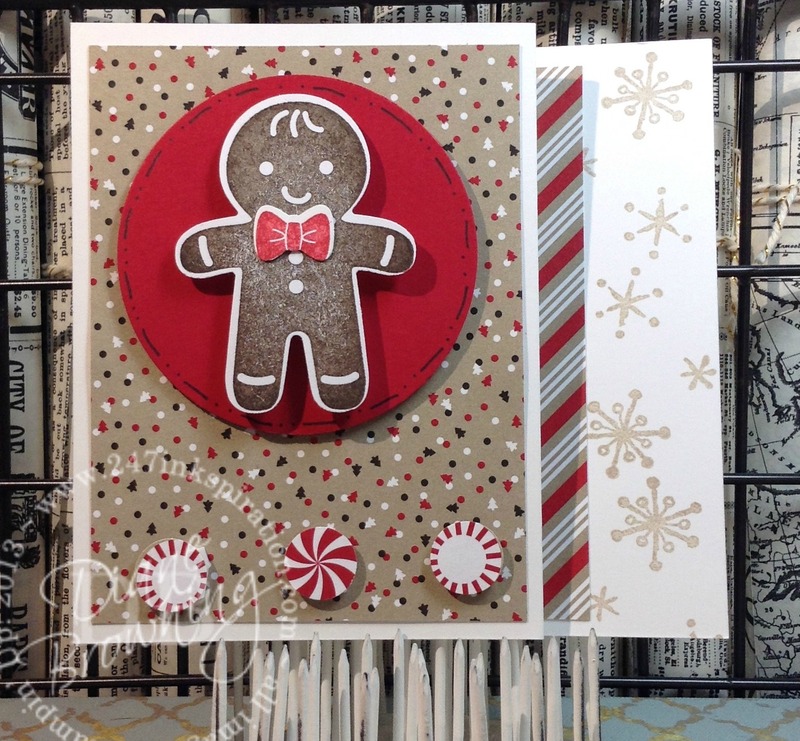 Today, I have a couple samples using the Cookie Cutter Christmas stamp set. 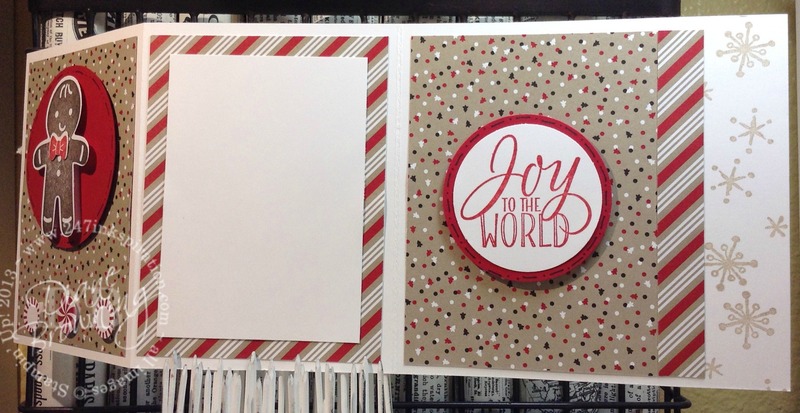 The first card was our Make & Take at our last Demonstrator Meeting and was designed by Margo Davis. 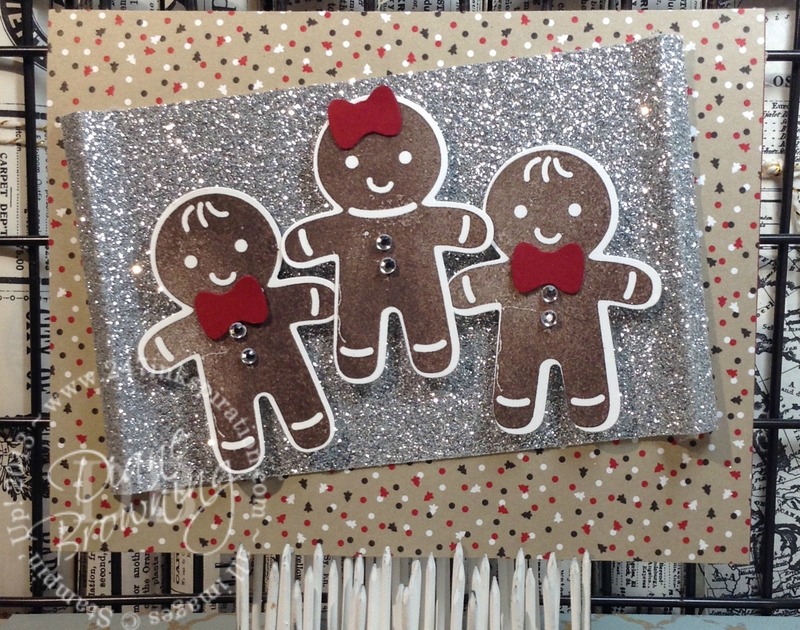 She used the Silver Glimmer Paper to make a baking sheet for the gingerbread cookies. The edges are scored using the scoring tool on the Stampin’ Trimmer. And this is the inside of the card. When you use a dark colored card base, you want to use a light neutral color on the inside so people can actually read your message. She used a strip of the same pattern paper on the inside to tie it all together. This next card is Chrissy Braden’s swap that evening. 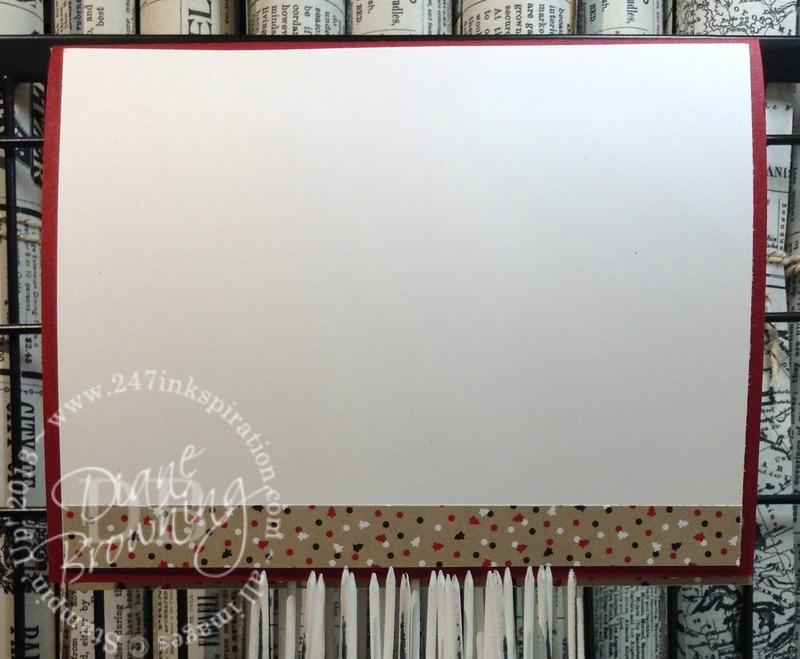 She also used the same Cookie Cutter Christmas stamp set and Designer Series Paper for a tri-fold card. I love how the bottom layer of the card peeks out on the right side. Such a creative design. And here is the inside of the card. For this card, you would use the middle panel to write your message. The Holiday Catalog sales period starts 9/1. These supplies will be available to you then. If you’re a Demonstrator, you would be able to purchase these now (one of the perks of being a Demonstrator!). I have a couple more sneak peeks of the Holiday Catalog coming soon. Be sure to check back Friday for more crafty Christmas goodness.